There are dozens of software around to help you download Windows 10 ISO as well as prepare bootable USB. However, only the official Media Creation Tool can both download the Windows 10 ISO and prepare the bootable USB using the downloaded ISO. While the official Media Creation Tool is quite good, it doesn’t prepare the bootable USB as fast as the popular Rufus software. Rufus is fast, sports an easy-to-understand interface, available in many languages, and updated very often. It even supports preparing Windows To Go USB drive. 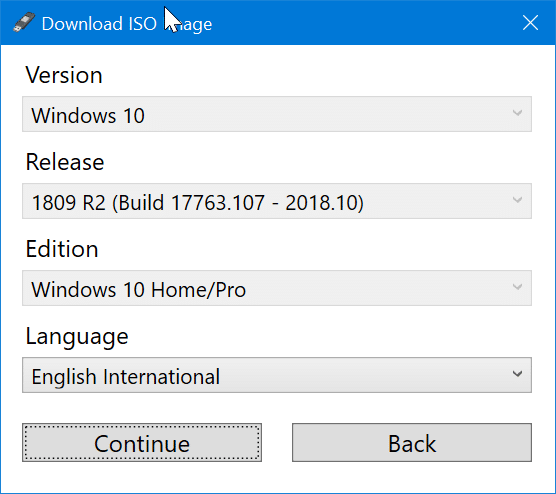 Good news is that you no longer need to use the Media Creation Tool or any other software to download Windows 10 ISO as Rufus can now do that. 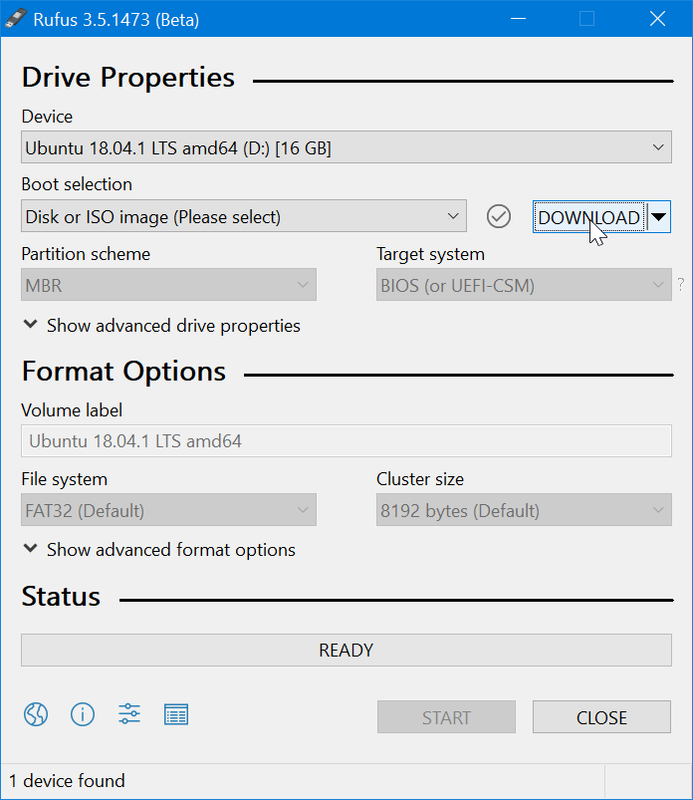 Starting with Rufus 3.5, Rufus can download Windows 10 ISO from Microsoft servers and prepare the bootable USB. Although Rufus 3.5 gets this new feature, the feature is not fully integrated into Rufus. 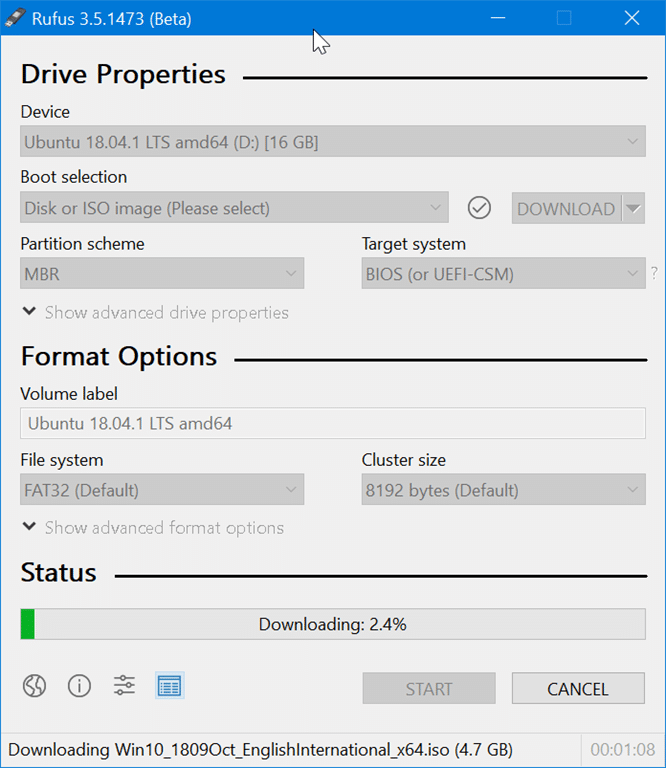 Rufus downloads a script called Fido which in turn helps to download Windows 10 and Windows 8.1 ISO images. NOTE: Please note that Rufus version 3.5 is currently in Beta. We will update this article once a stable version of Rufus 3.5 is out. Here is how to use Rufus 3.5 to download Windows 10 and then prepare a bootable USB. Step 1: Connect an 8GB+ USB drive which you would like to make a bootable USB. Step 2: Download and run Rufus 3.5 or later version. In addition to the regular installer, a portable version of Rufus is also available for users who don’t want to install the program. Step 3: In the Device drop-down box, select your USB drive. 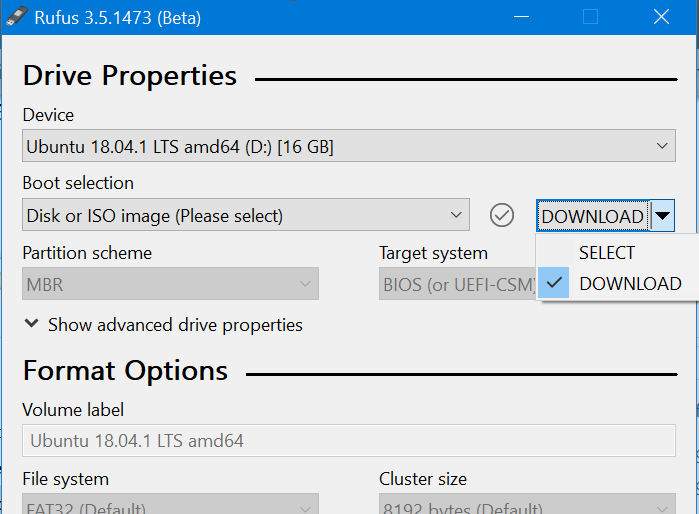 Select Disk or ISO image from the Boot selection drop down box, click the small down arrow next to the Select button and then be sure to select the Download option. Step 4: Now, click the Download button to download the Figo script which once downloaded will display the following dialog where you need to select Windows 10 (or Windows 8.1 if you wish to download it) and then click OK button to see a list of Windows 10 versions. 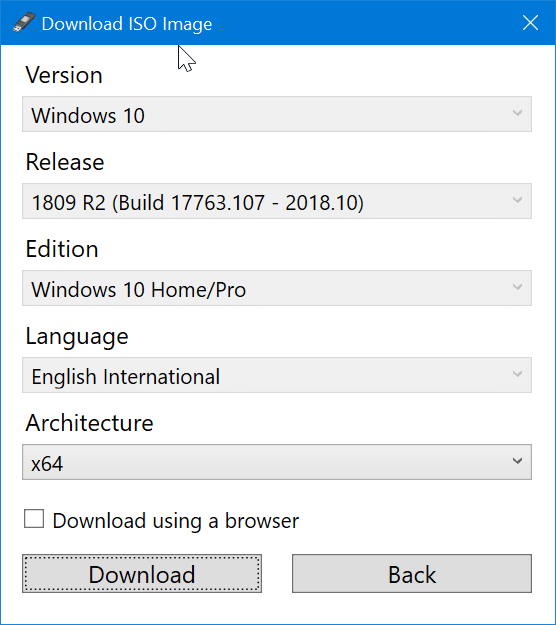 Select the latest version of Windows 10, click the OK button again, select the edition of Windows 10 (Home, Pro or Education), click the Continue button, select the language, click Continue again, and then select the architecture (32-bit or 64-bit). Step 5: Finally, click the Download button, select a location to save the ISO file and then click the Save button to begin downloading the Windows 10 ISO file. If you would like to use a web browser to download the ISO, you can do so by selecting Download using browser option. Step 6: Once the ISO is downloaded, click the START button to format the connected USB drive and make it as bootable USB. I had the same problem, you need to have the updates function turned on for the download button to appear. Turn it on and restart Rufus and it will be there. @ Alex, they might have pulled back to improve it further. I just downlaoded a new copy and checked. As you said, the download option is missing. I don’t have download option and dropdown menu in new 3.5 version.